As wedding pros, we're always collecting important information to help us better serve our clients. Being able to send electronic questionnaires will help make your booking and planning process even easier. 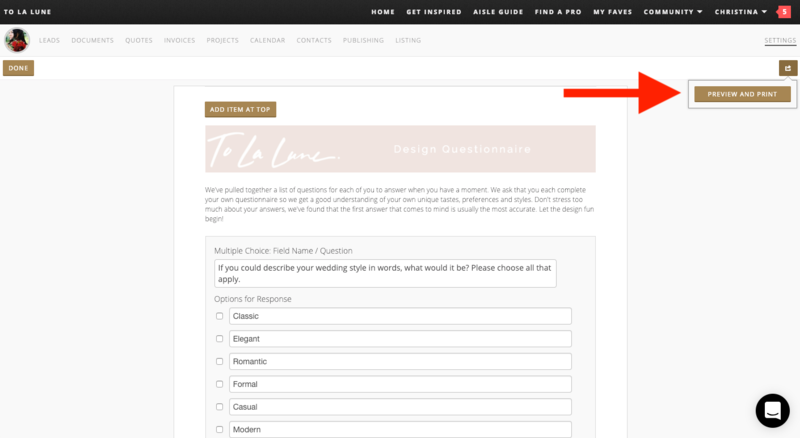 To create your first questionnaire template, head on over to the Settings menu, which you'll find towards the top right of your Pro Dashboard and follow the steps below! 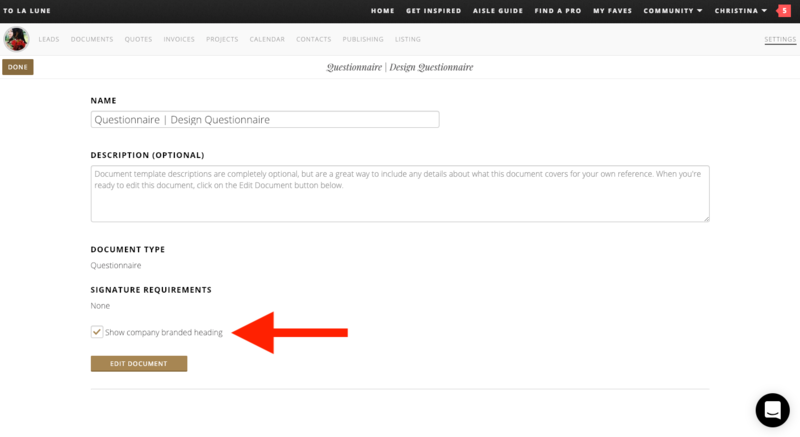 Click on the Templates tab towards the top of your screen and select the Document option, which you'll see on the left. Click on the gold Add New Button. Chose the Questionnaire option from the menu. 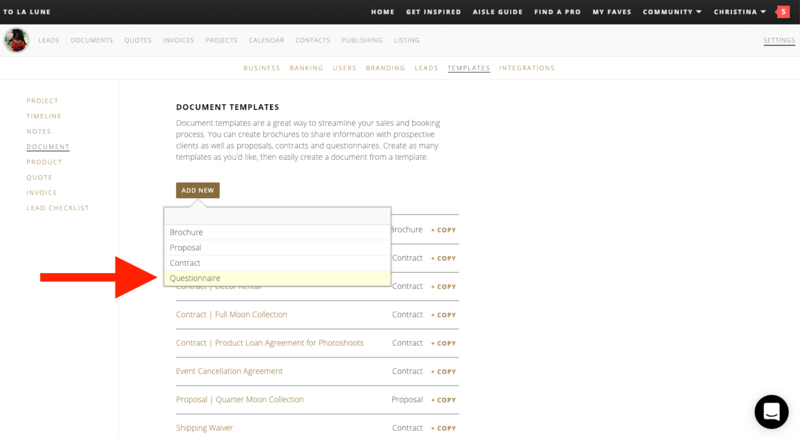 The first thing you'll want to do is give your new template a name for future reference. 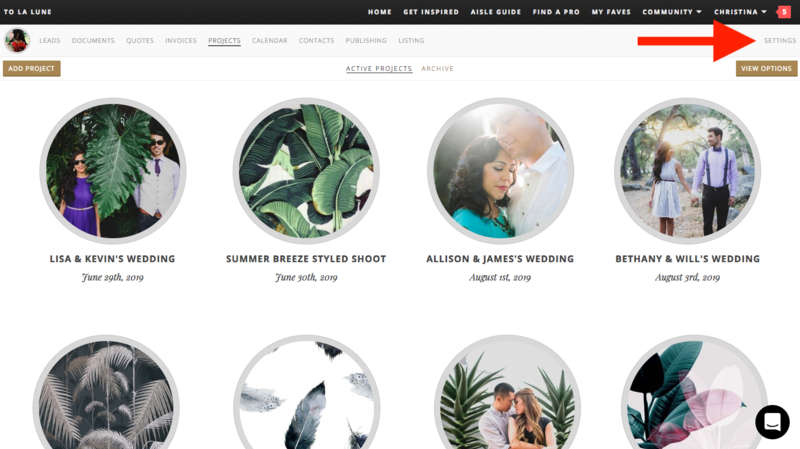 Naming your templates is SUPER important, so you won't have any challenges finding the right template that you need down the road. 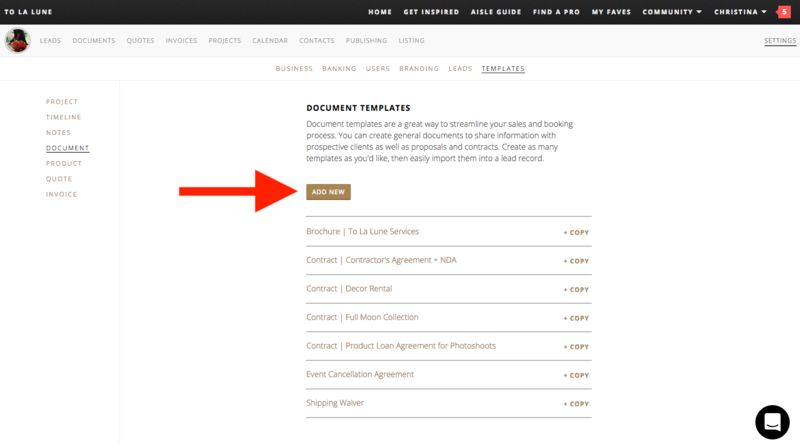 Pro Tip: Since all documents, including brochures, proposals, contracts AND questionnaires are all housed here as document templates, we recommend starting your template name with some indication of WHAT type of document this is, just to make it super easy and straightforward - and since templates are organized alphabetically, it helps to see each type of document grouped together. Add an optional description for this template. Note: This description is completely optional and is used as an internal reference for you and your team - your clients won't have access to see this! 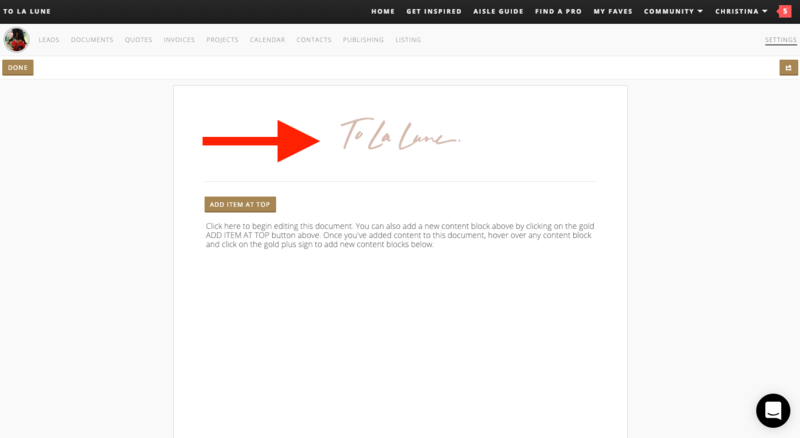 Click the gold Edit Document button. If you've already set up your company branding, we'll automatically pull in your company logo at the top. But if your brochure template has a great big white space at the top of your document, take a moment to head over to your branding center, where you can upload your logo for a better branded experience in Aisle Planner. As a Side note: You also have the option to hide this heading if you prefer to get creative and use your own custom heading. 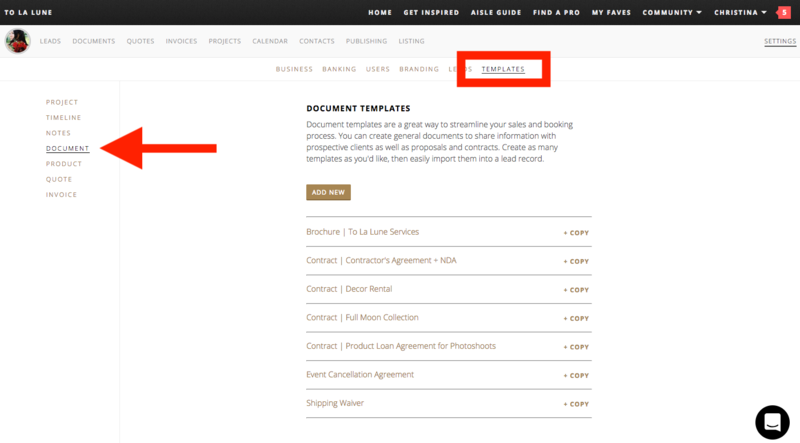 Just uncheck the "Show heading" box on the brochure template set up page for this template. 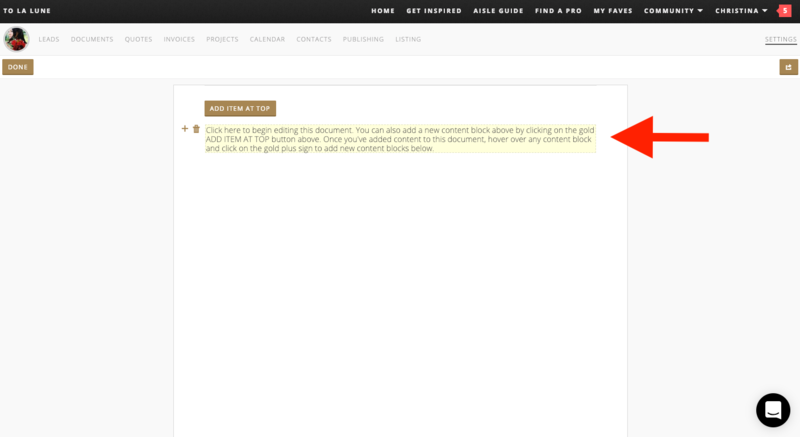 Allows you to include formatted introductions, paragraphs and other text related content within your questionnaire. Allows you to personalize your questionnaire by adding images, pre-designed collages and visual section headings into your questionnaire. 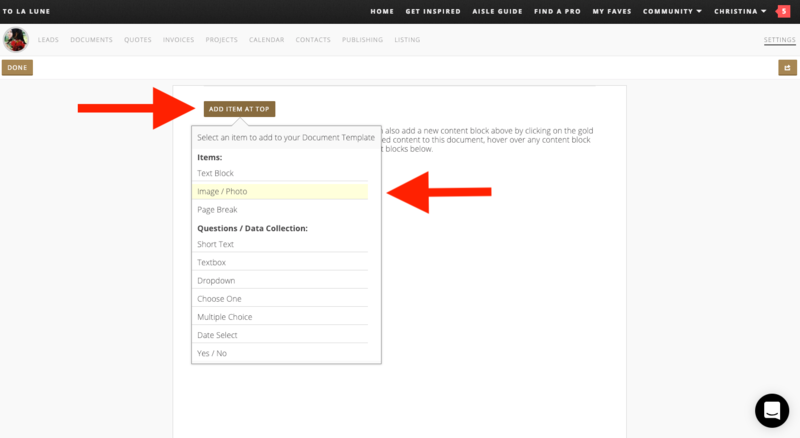 Allows you to define page breaks within your questionnaire. Allows respondents to select one answer from a defined list of choices. Allows respondents to select multiple answer from a defined list of choices. Allows respondents to answer with a yes or no response. To help get you started, we've pre-populated a text block so that you can dive right in - just click into the editable area of the questionnaire shown and start typing in an introduction to your questionnaire. 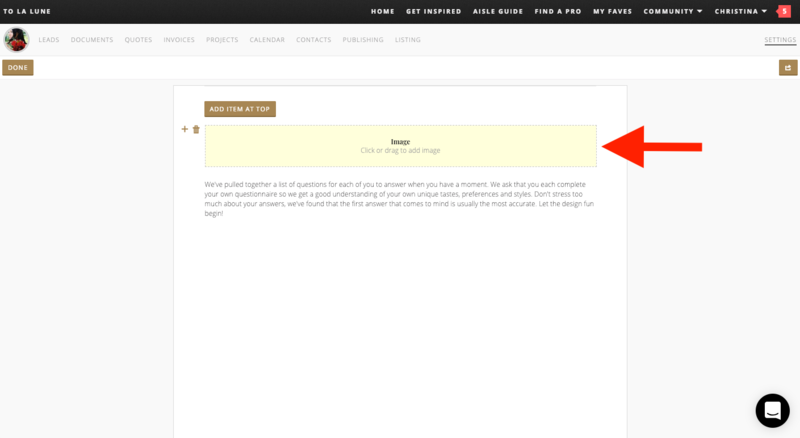 To add a heading image at the top, click on the gold Add Item At Top button. Next, follow the prompts to upload your image/photo. 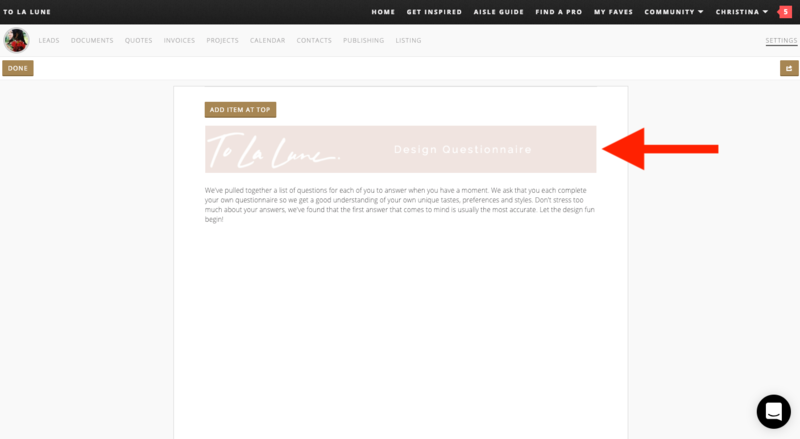 To add a question, hover over the content block just above where you want to drop in the question, and click on the gold + sign that appears to the left. Then, select the type of question you'd like to add from the menu. 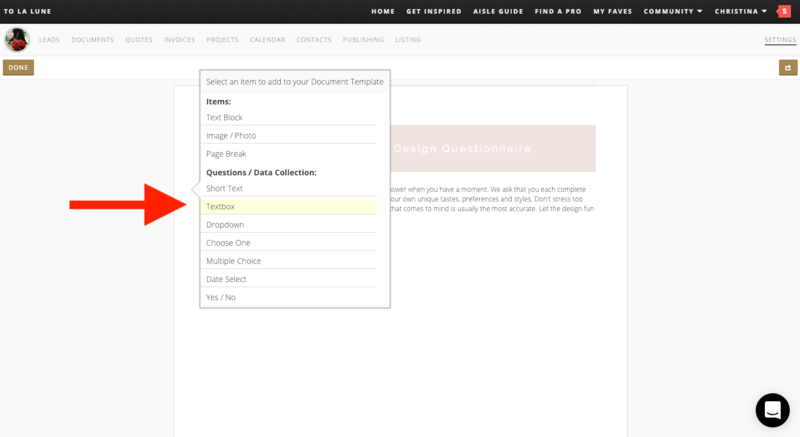 Follow the prompts to customize your questions and answers for each question you add. 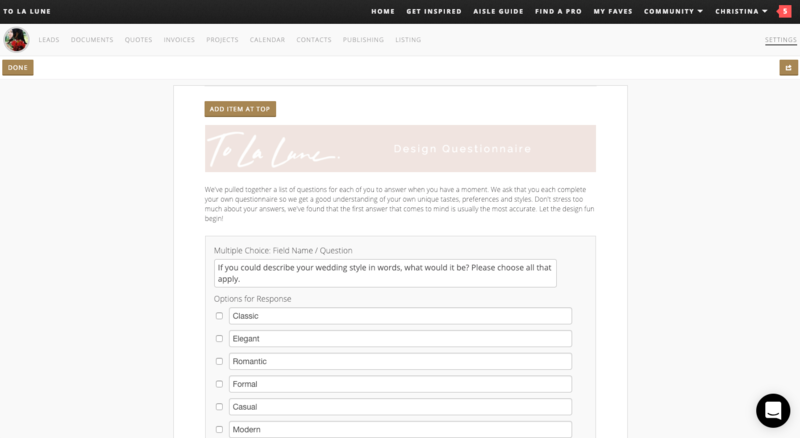 Once you've added content and completed formatting, we recommend that you take the time to preview your questionnaire template to be sure that everything looks just right. To preview and print, click on the gold arrow button towards the top right of your screen, then click on the Preview and Print button. 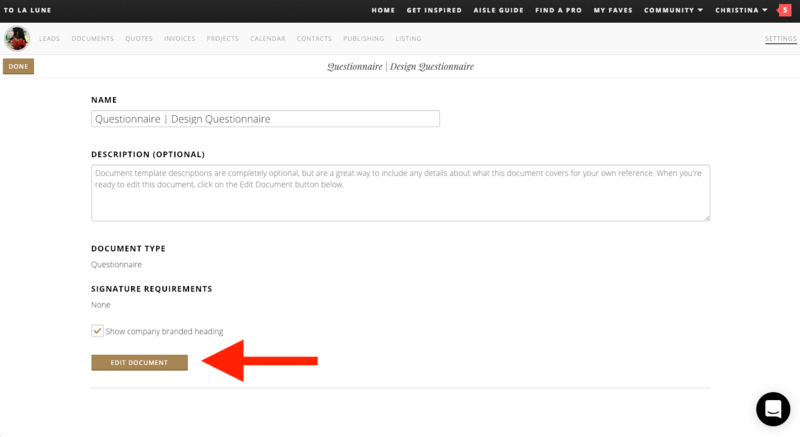 Now that you've completed your questionnaire template, click on the gold Done button to your top left, and you're set! 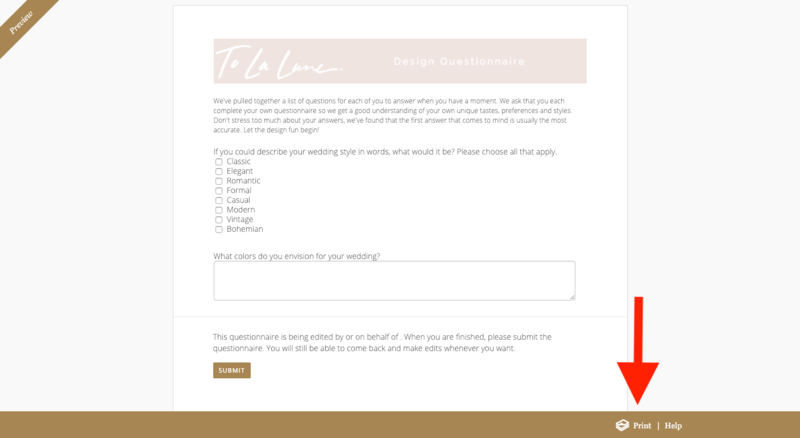 Now that you've set up this questionnaire template, you'll be able to use this template to quickly and easily create and send questionnaires to your clients. 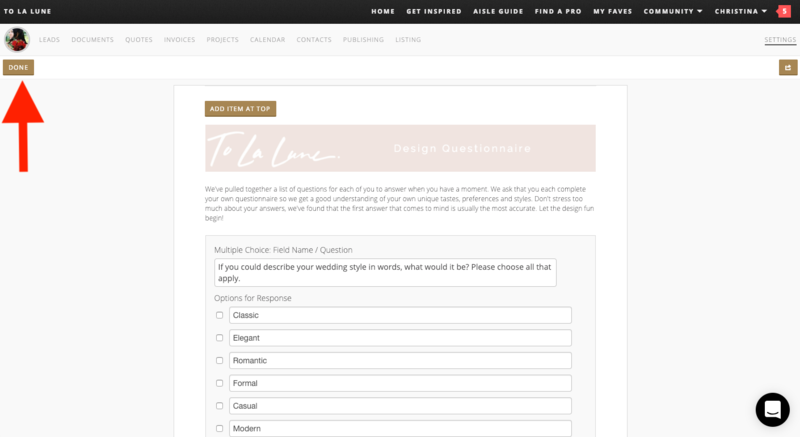 Don't worry, you can always further update and adjust your questionnaire for each client as needed (and you can always revisit this questionnaire template to make updates down the road), but setting up your templates will give you a great head start! Learn more about sending questionnaire to clients to here. What Types of Questions Can I Add To A Questionnaire?